A Day Late and A Dollar Short: Exclusive Jim Henson Lithographs Offered to Center for Puppetry Arts Donors! Exclusive Jim Henson Lithographs Offered to Center for Puppetry Arts Donors! The Center for Puppetry Arts’ renovation and expansion, set to be completed in fall 2015, will include the new “Worlds of Puppetry” Museum, featuring the most comprehensive collection of Jim Henson puppets and artifacts in the world. Beginning in April, sets of these limited edition lithographs were made available as a thank you to top level supporters of the Center for Puppetry Arts’ expansion and its continued conservation of Jim Henson’s work, his legacy, and the art form of puppetry. Through layers of color, each limited edition set pays tribute to Henson’s unique sense of humor, style, and high energy. Donors who make a new gift of $10,000 or more to the Center for Puppetry Arts’ expansion campaign will receive a collector’s set of three lithographic prints created by Mockler. Each print will be numbered and embossed with the Jim Henson Archives seal, and each set of three prints will come in a portfolio with a personal letter from Jim Henson’s son Brian Henson and documentation from Henson archivist Karen Falk. This is a limited edition printing of 100 sets, 40 of which have been given to the Center for Puppetry Arts by Brian and Cheryl Henson. Donors who contribute gifts of $10,000 before August 2015 will be listed as a founding supporter of the Center for Puppetry Arts’ new museum, in addition to receiving this set of prints. Those interested in receiving a set of Henson lithographic prints should contact Amy Davis at Center for Puppetry Arts by phone at 404.881.5142 or by email at AmyDavis@puppet.org. 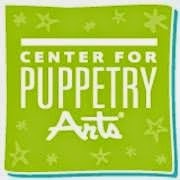 Kermit and friends are getting a new home at the Center for Puppetry Arts! The nation’s largest nonprofit dedicated to the art of puppetry has begun construction on a 7,500 square foot museum expansion. Set to be open in fall 2015, the museum will feature objects from the Center’s extensive global collection and will display the world’s most comprehensive collection of Jim Henson's contributions to the world of puppetry. The project also includes a major renovation to existing spaces, including a renovated entryway, expanded research library and many other upgrades that will enhance the overall experience for all visitors to the Center. For more details, visit www.puppet.org/believeinmakebelieve.